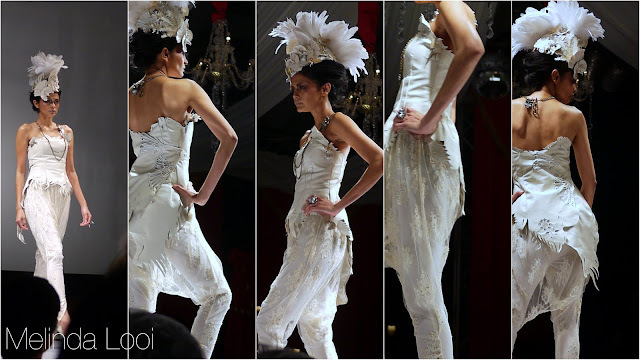 On 7th April 2011 I attended Mercedes Benz- STYLO Fashion Show themed Aladdin's Harem Night, showcasing Designer of The Year 2009 which includes Khoon Hooi, Edric Ong & Melinda Looi. 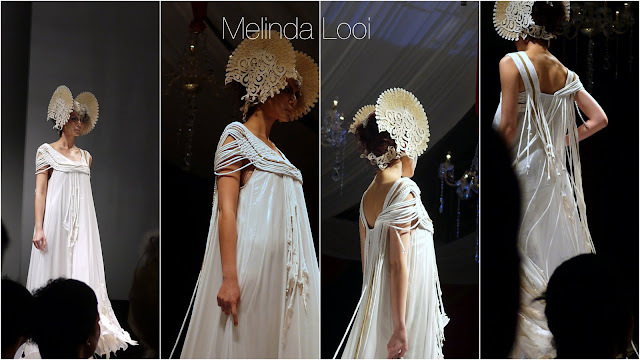 Let's start off with the collection from Melinda Looi. 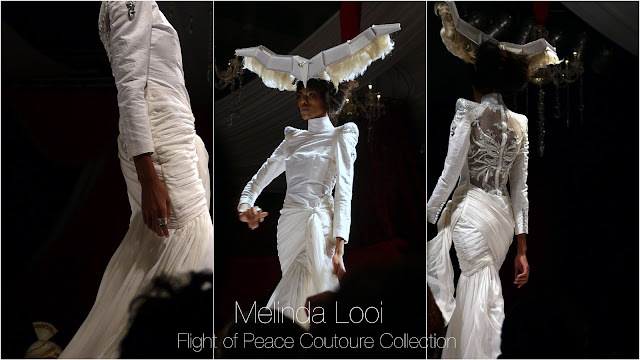 The name of this couture collection is Flight of Peace, kickstarted with a small girl holding a dove and releasing it at the end of the runway. 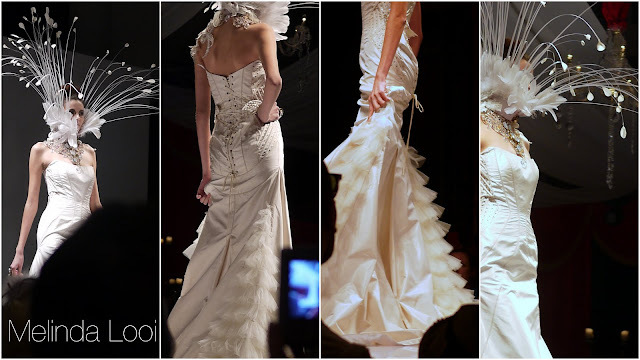 I personally feel the whole collection is very ethereal and has a certain edgy softness to it. I simply had to post the whole collection coz not doing so would be a crime! Loving the power shoulder effect, certainly Balmain & the 80's era has an effect on most of us who are in love with fashion. And loving the drapes and the detailing on the back, simply j'adore! The headgear is pretty amazing! Wouldn't mind wearing one of that to a themed party. The criss-cut style of the bottom part reminds me of Viktor & Rolf ever so memorable collection. Love this! Melinda Looi and her troop taking a bow for a perfect collection show. I have never seen a collection so beautiful up close and this just made me want to have my wedding and go crazy and wear one of her couture pieces. One can always dream no? I wonder if she has twitter? 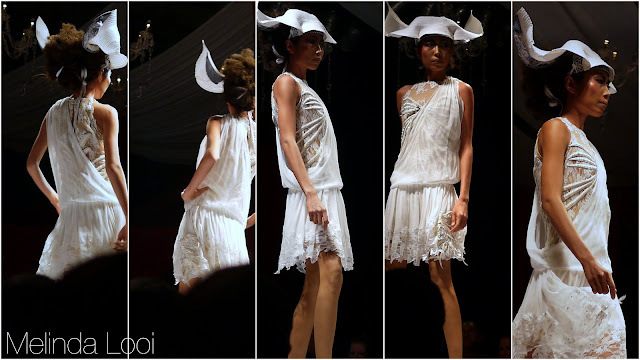 Hmm..
And Khoon Hooi's ready to wear collection which was showcased that night as well. and details of WHAT I WORE that night. Of all things! Haha, it's Helvetica Neue Light.